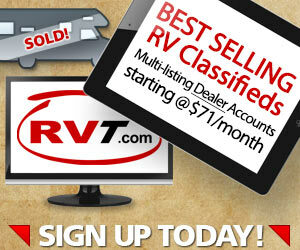 If I was an RV buyer, ready to purchase … why would I be “smart” to call your particular dealership? Why should I email you? What’s in it for me (WII FM) to call you? What might I expect if I stop by for a visit? Tell me – Ready … set … go! How Many ONLINE Buyers Have You TOLD? … Lately? 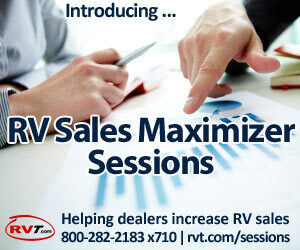 You and your people perform amazing services for your RV buying customers. Day in & day out. You give great value. You go the extra mile, you over-deliver, you bend over backwards. You make deals happen. Way to go. Good job. 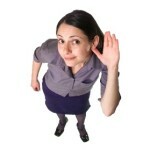 Do you tell all your online buyers – before they purchase – while they are in “shopping mode”? The very best place to tell would-be buyers why you’re best, how this specific unit will benefit their family and how you’re going to alleviate their concerns is in the Descriptions of your online RV listings … where your buyers go to research. Let’s take towing for instance. And in reality, most buyers are a little apprehensive about towing, aren’t they? They’re often full of questions about towing and frankly, a lot of buyers need your help figuring out what they should do. And, you help. You help with towing questions all day long. Your great product knowledge shines through! You’ve been answering towing questions for 20+ years – you can do it in your sleep. Roughly 75% of your buyers have towing related questions and yet, on all your towables listings there’s (most likely) NOT one (1) word that mentions your ability to help folks figure out their towing questions. You know it’s a huge concern. You know you help lots of buyers figure it out. But up front, in the Descriptions of your listings, you’re not addressing the buyer’s deepest concerns and you’re not telling buyers you’re here to help. How many more buyers would pick up the phone and call your number? Prudence: Ultimately what buyers tow with which vehicle is up to the buyer. I’m not suggesting you make unwise, legally binding statements like: “whatever we advise you about towing is the final word and nothing will ever break.” Don’t go there. Just Do What Great Marketers Do: Use your buyers’ deepest concerns (as well as your buyers’ biggest needs, wants and desires) to drive inquiry, to stimulate interaction, to compel face-to-face or telephone dialogue. Go there. Your Turn: What could you say to nervous, cautious towables buyers – in your listings’ Descriptions! – that might get you several more calls per week, per month? Feel free to comment below. What does your dealership do for buyers that most other dealerships do not do? How many more buyers (out of the ~ 2,000 who are going to look this month) would call you? That Dealers OFTEN Fail To Mention in Their Listings. For some dealers, more than 1/2 your buyers are from out-of-state. And, you’re good at out-of-state sales. You like that business. You have special systems and processes all set up which make your dealership an ideal place for out-of-state buyers. You love out-of-state buyers! If you want more to call you, ASK them to by mentioning how easy you are to work with in your listings. As you can see, there are many great angles dealers can use inside their RV Descriptions to stimulate more calls from buyers. Let’s not underestimate the power of written Descriptions to bring buyers in through your doors. Great post Chris! 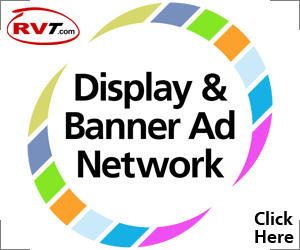 I was just looking over some of my ads and realized that I have solely focused on the product and not on our services and abilities. This is a great idea to advertise everything that our dealership offers and not just the individual products. Thanks for the heads up! Thanks Ryan! Yes, the more you can differentiate yourself away from what most dealers are doing (feature loading), the more appeal your listings will have to consumers. And when you’re differentiated by the info you provide and you couple that with using the buyers’ fears, needs and wants to ASK them (in a professional way) to get in touch with you, your lead volumes and buyer interactions will climb. TTYS and keep up the great work! I would love if you added an example of a “good post.” You have one of the “normal” way we usually do it. If you we’re to write a post…what would you write?